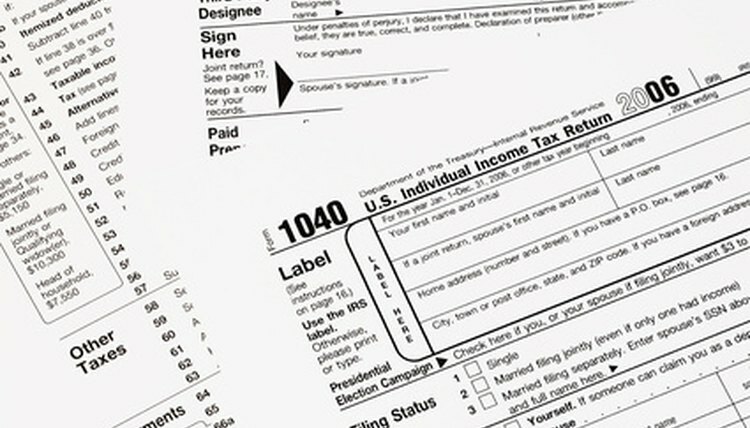 Most U.S. taxpayers only think about income taxes one time a year, shortly before April 15. It is at this time of year that everybody is frantically gathering receipts, income statements, 1099 forms, and W-2's and taking them to the nearest tax preparation service. The smart taxpayers, however, think about taxes all year long. The smartest taxpayer plans ahead so that at the end of the year, the taxpayer merely files a tax return and receives no tax return, but also has no tax liability. The way to accomplish this goal is to understood IRS requirements regarding taxes withheld during the year. If you adjust your withholding information just right so you do not receive a tax return at year end, you will avoid making an interest-free loan to the IRS during the year. You will increase your monthly cash flow instead of receiving a large lump-sum at the end of the year. IRS tax law requires that each taxpayer pay their estimated income taxes throughout the year. For most people, this is accomplished each pay period. Employers are required by law to withhold income taxes from each paycheck given to an employee. Because it is the employer's responsibility, most employees don't even think about it. The purpose of the withholding requirement is for the IRS to collect a proportionate amount if income taxes during the year. Therefore, your employer will estimate your year-end income tax liability and withhold the appropriate amount based on that estimate. This estimate is carried out on a per-paycheck basis, which means if you receive a higher amount of income in one pay period, you will have a higher amount of income taxes withheld from that paycheck. If your employer withholds exactly the right amount of taxes from each paycheck, then when you file your tax return you should have a zero balance. This means you will owe nothing and you will not receive a tax return. On the other hand, if your employer is withholding too much in income taxes each paycheck, then you will receive a tax return at the end of the year. This is basically a refund of the amount you overpaid in taxes. Since you didn't have access to that money during the year, and since the IRS doesn't pay you interest on that money, you essentially make an interest-free loan to the government when your employer withholds too much. The amount of income taxes withheld by your employer is based on two things. First, the amount withheld is based on your estimated income for the entire year. So, if you get paid $5,000 once each month, you will be taxed on the assumption that you will make $60,000 for the entire year. The second thing that effects your tax withholding is the amount of tax exemptions that you claim on your W-4 when you begin working. All employers are required to have new employees fill out a W-4, but after that first form, it is the employee's responsibility to file new W-4s when the employee's circumstances change. The W-4 is a worksheet that creates an exemption number. The higher the exemption number, the lower the estimated income tax. The exemption number is based on your estimated income tax deductions and credits. You can adjust your federal tax withholding amount any time you want. All you need to do is prepare a new W-4 and give it to your employer's payroll department. Most of the time, you don't need to worry about your W-4 because it will only change significantly if you have a major life change. For example, if you have a new baby, you should file a new W-4 because the baby will entitle you to more income tax deductions and credits. In other words, less will be withheld from your paycheck and more goes to your bank account each month. Or, if you convert to a new religion where you will pay 10 percent of your income to charity, you may want to adjust your W-4 to account for your new charitable contribution deductions. M., Phil. "Tax Withheld Definition." , https://legalbeagle.com/6119284-tax-withheld-definition.html. Accessed 19 April 2019.